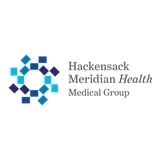 HMH Medical Group Primary Care, Tinton Falls (Tinton Falls) - Book Appointment Online! I have known Dr. Shavelson for several decades. I find him to be trustworthy and a dedicated professional.